Hello friends! As I'm getting back into the regular swing of things, here is a different kind of post for you to enjoy. I was approached by a reader on my Facebook page about Lilla Rose products. I don't think I had ever heard about this brand before - this was MONTHS ago btw. After consideration, I decided to give it a try. Below is the Flexi Clip in size medium. I have pretty long hair, but it's also very fine. You can view how sizing works HERE. 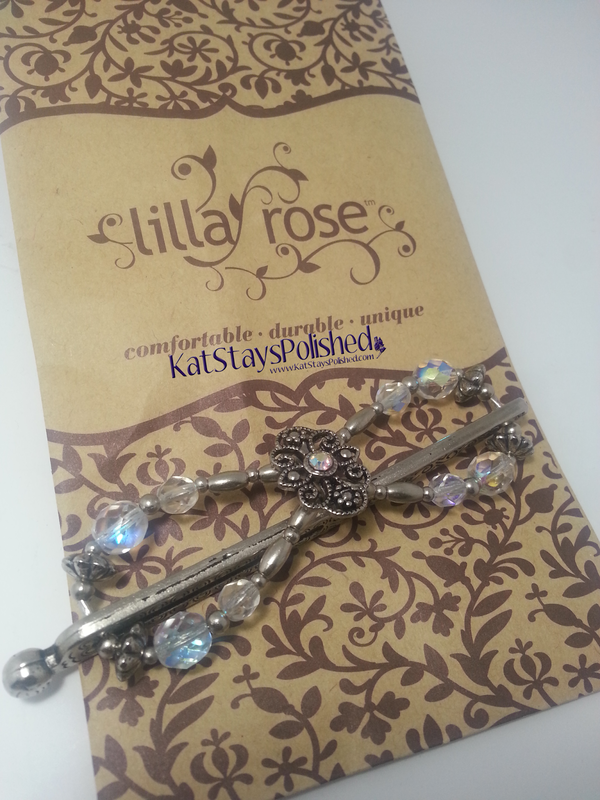 Besides the Flexi clip, Lilla Rose also has beautiful bobby pins, headbands, hair sticks and more. The style I chose [after having a ton of favorites] was the Princess Tiara design. 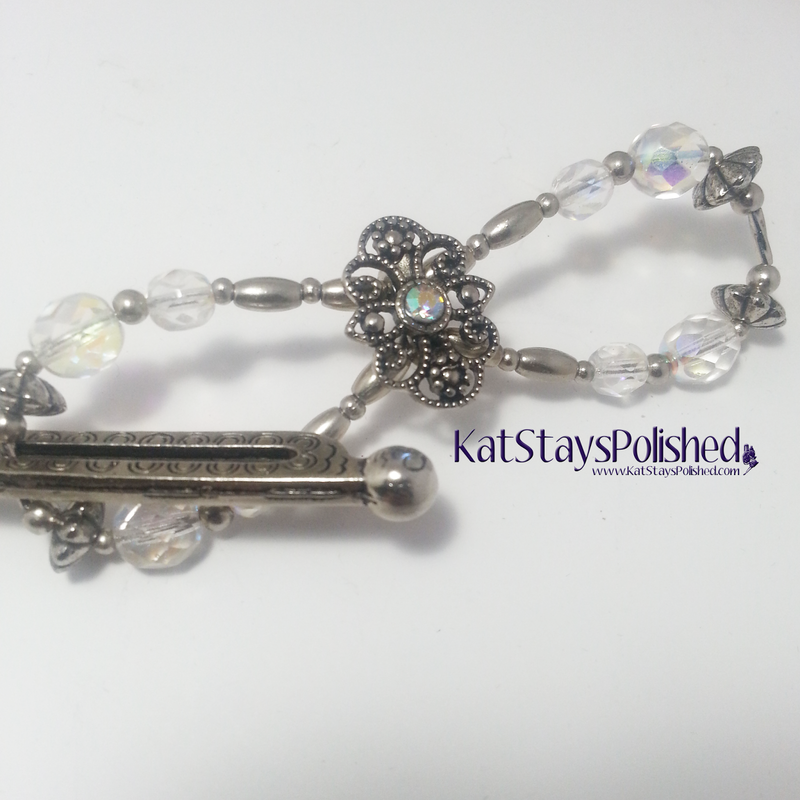 I love it because it's pretty but simple, and can be worn with basically any outfit I have. 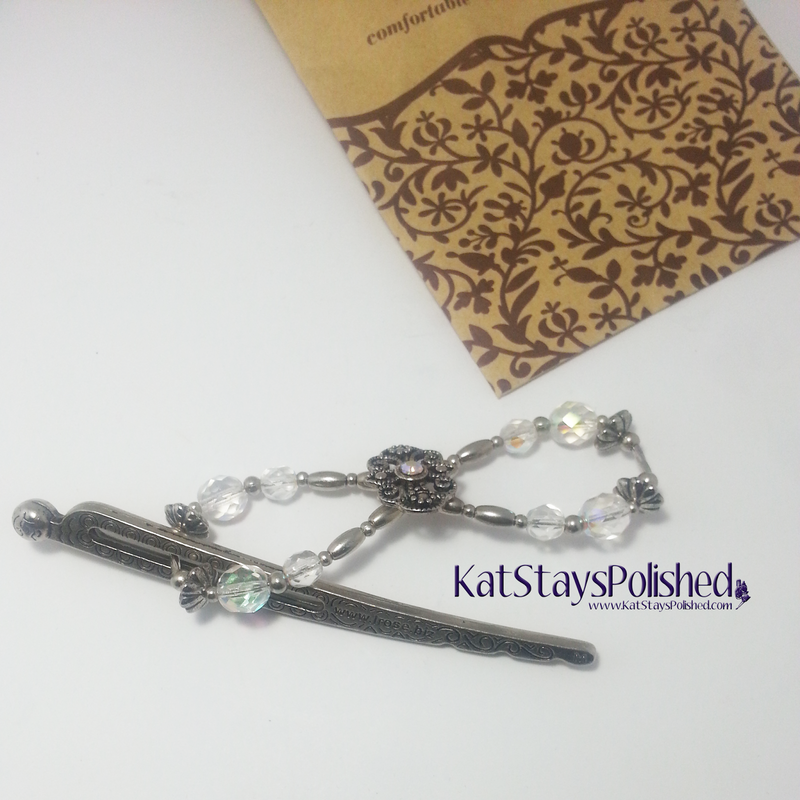 Here's another closeup of the Flexi Clip. It's held together pretty well - I don't feel like this could break easily with normal use. This pic is just showing it holding my hair back in a ponytail. It keeps my hair pretty tight and I'm mostly satisfied. I'm thinking that maybe I should have gone with the small. I didn't take into consideration how slick my straight (and fine) hair would affect the performance of the clip. I also tried to do a few other styles but because my hair, again, is so slick and straight, it didn't work. Overall, I like this product very much. It gives me something different to put in my hair other than plain elastics and black scrunchies, haha. If you'd like to win one of these (or another Lilla Rose product), enter via the Rafflecopter below. This giveaway is good for US residents only please. There's also a 10%-15% sale going on right now through Saturday, October 18. Lilla Rose totally turned me around! I love my flexi clips! You're right, you need to find the right size for your hair and style you want to do but once you do they are fantastic! They've really made me feel more beautiful and given me confidence in doing my hair. What a pretty clip that is! I would choose the Butterfly or Hummingbird clip. I think they are all beautiful. I would like to try the medium flexi-clips. I especially like the cameo appearance. Thanks for your review, Kat! That clip looks beautiful in your hair. It's true, size does matter when it comes to ensuring the perfect Flexi fit! That's why Lilla Rose offers a generous exchange policy: customers can exchange damaged or incorrect sizes within 90 days of purchase, and defective items within 1 year of purchase (including a prepaid postage label to send back the original item). 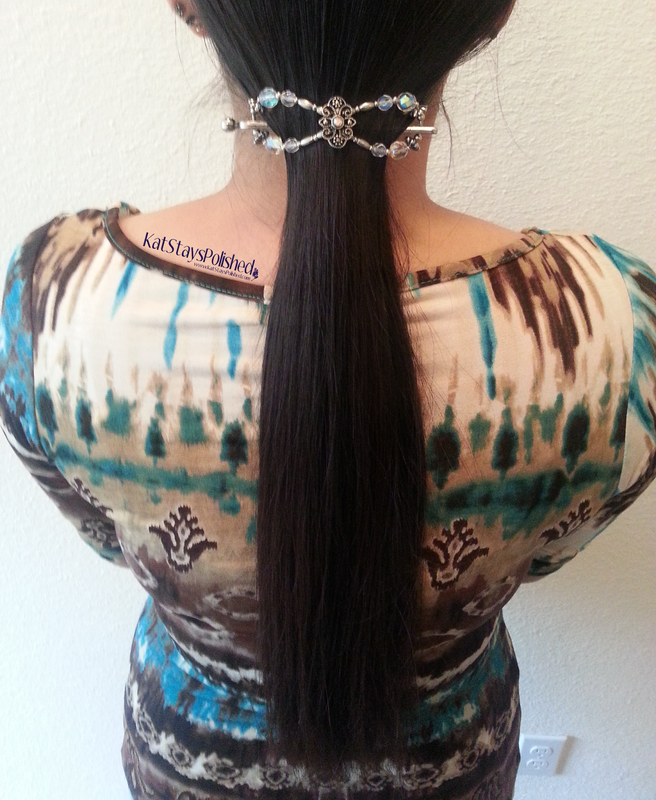 We want everyone to love their Flexi clips!